Here comes the comparison between the actual RAW picture and the processed one. In digital photography presentation is very important, so most of us do post process before presenting the picture in any media. Most of the time I do very minimal post process when the lighting and other factors are good in the actual RAW picture. But in this case as you can see the picture on the left side is not good for presenting as it was shot in early morning lighting (around 6.00 am) So I had to post process the picture to the presentable extend. By sharing this I would like to inform that do not scrap the picture if it looks like the one on left side, by doing simple post processing you can recover the pictures or give actual color and lighting to the picture I have even recovered even worse looking pictures to good looking pictures. This above picture has wrong lighting while the camera settings were correct as per the available natural light. One thing I would like to mention before ending. 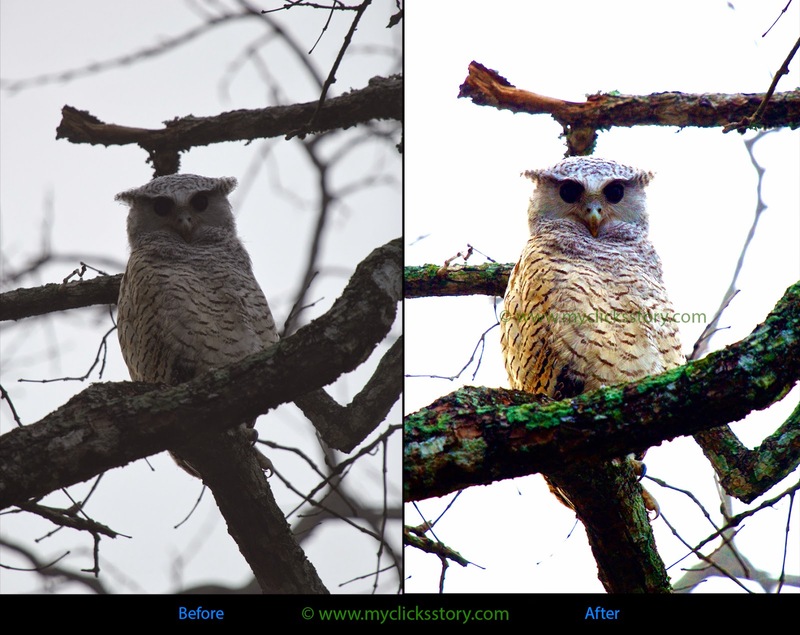 If you think that post processing pictures is costly or doable only with premium softwares like photoshop, lightRoom, ect then you are wrong. Post processing that you see in this picture is not done using any professional or premium softwares. I have only used the basic or free photo editing tool available for Mac OS like: iPhoto and Photos and Fotor which are freely available for Mac users. I am sure there will be many free softwares for Windows OS too. I'll share the best free photo editing windows softwares once I test them. In case if any of you know the best free windows softwares please mention them in the comments below. In this case there was no problem with the natural lighting available on the subject but it was my camera setting which screwed up the picture, yet I was able to recover it too. This picture is recovered using a Photoshop software, but now when you compare both recovered pictures there is no big difference. So folks don't be sad if you end up clicking such bad pictures, you can always recover them in Digital Photography using best free and premium softwares. Please leave your comments below and let me know if you need me to write about any other photography related topics.